As a veteran, the celebration of Veteran’s Day is near and dear to my heart. Veteran’s Day also reminds me of the many veterans using their military and leadership skills to serve their communities through entrepreneurship and job creation. We just celebrated National Veterans Small Business Week, a reminder that veteran entrepreneurs are a driving force in our economy. Nearly one in every 10 American businesses today is owned by a veteran, collectively employing nearly six million workers and generating more than $1.1 trillion in receipts. At the U.S. Small Business Administration we are committed to ensuring our nation’s veterans have access to the capital, counseling and federal contracting opportunities needed to start, build and grow a successful small business. In fiscal year 2017, SBA supported more than $1.1 billion in lending nationally to more than 3,500 veteran-owned small businesses. In the Lower Rio Grande Valley District, the number of loan guarantees to veterans increased 86 percent from FY 2016 with local veterans receiving more than $1.5 million in SBA–backed loans. To help veterans or military spouses gain access to capital under the Veterans Entrepreneurship Act of 2015, up-front guaranty fees for SBA Express loans are set to zero for qualified businesses owned by veterans and/or military spouses. And under the SBA Veterans Advantage loan program, fees for many 7(a) loans (other than SBA Express) of $125,001 to $350,000 are reduced by up to 50 percent. Other accessible lending programs are the SBA Community Advantage or Microloan programs. Moreover, the SBA provides counseling and mentoring for veterans, reservists, National Guard, active-duty personnel and military spouses who want to start or take their small business to the next level. Research shows that small businesses with a “counseling” experience see increased sales and sustainability. 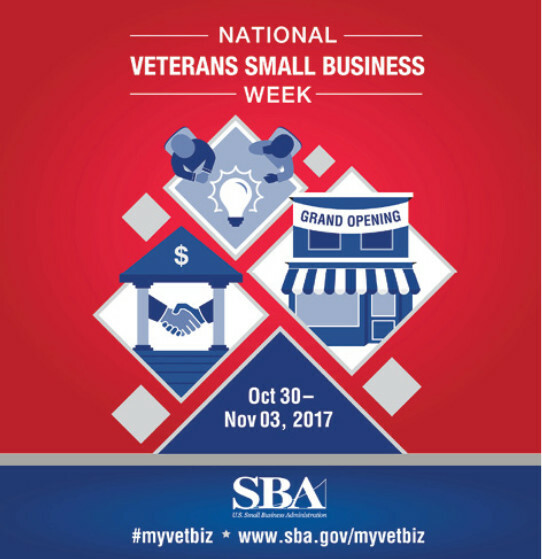 SBA supports a nationwide network of Veteran Business Opportunity Centers that, along with SBA’s other resource partners, provide business counseling and training. Fortunately, the LRGV District has a VBOC office in Edinburg located with the UTRGV Small Business Development Center and the Women’s Business Center of Cameron County in Brownsville, all tasked with business training, counseling and technical assistance. Additionally, the SBA connects veteran-owned small businesses with growth opportunities through federal contracting. The Service-Disabled Veteran-Owned Small Business Concern program gives procuring agencies the authority to set acquisitions aside for exclusive competition among service-disabled, veteran-owned small businesses. The SBA’s goal for SDVOSBC contract awards is three percent government-wide. The LRGV District currently has 40 Service-Disabled Veteran-Owned firms who were awarded more than $3.3 million in federal contracts in FY 2017. During National Veterans Small Business Week and the following week up to Veteran’s Day, the LRGV District hosts and participates in a series of activities specific to supporting veteran entrepreneurs. Lastly, I encourage veteran business owners to share their small business success stories and I respectfully ask local communities to demonstrate appreciation for veteran entrepreneurs and small business owners by joining a conversation on veterans in business using the #MyVetBiz hashtag. For more information about SBA veteran resources, contact Reynaldo Vasquez, veteran business development officer, at 956.427.8533, or email reynaldo. vasquez@sba.gov.